Wates Residential set to deliver hundreds of homes and a lasting legacy for local people. Wates Residential’s ground-breaking Daedalus project to build 200 homes for local people in Gosport has been given the go-ahead by borough council planning bosses. The project, which will help bring back life to the historic Daedalus site in Lee-on-the-Solent, received unanimous support from Gosport Borough Council’s Regulatory Board at a meeting on Wednesday May 30th. 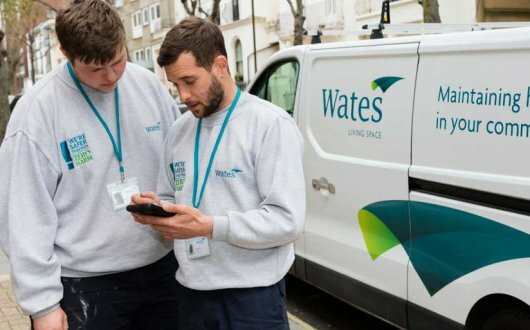 Wates Residential was chosen by Homes England – the Government’s housing delivery agency – earlier this year to act as the trusted delivery partner for the project, which will dramatically increase the number of new homes available for local people. The developer’s plans aim to foster the development of a neighbourhood and community through the provision of a mix of housing, with 120 private homes and 80 affordable homes set to be built. The homes will be split equally across two development sites with construction expected to start in summer this year. In recognition of the area’s unique roots, the approved proposals are designed to preserve the historic character of the area and the military buildings on site. Red brick bands and textured brick patterns will be used to complement the existing buildings. Work on this project will also create training and employment opportunities for local people, with Wates Residential taking on 10 apprentices throughout the project and providing work experience placements for local students. The developer is also planning a two-week ‘Building Futures’ programme aimed at unemployed local adults to teach them about the construction industry and boost employment prospects. The project will also boost the area’s local economy through the appointment of local suppliers. The scheme will be built through Home England’s Direct Commissioning Initiative, which is designed to enable the Government to fast-track the building of homes on publicly owned land and diversify housing delivery. Wates Residential will build the 200 homes at double the pace of the industry standard. Daedalus is the historic Royal Navy Air Station in Lee-on-the-Solent. It originally served as a seaplane base in 1917 during the First World War and later became the main training and administrative centre of the Fleet Air Arm. Since its decommissioning in 1996, the site fell into disrepair before being acquired by Homes England. The decision by Gosport Borough Council came after outline planning permission for an employment-led scheme with a cluster of aviation, marine, innovation and technology industries, as well as the two residential developments, was granted in 2016. The Daedalus housing project will provide much-needed homes for the local people of Gosport, which are designed entirely with them in mind.